Making bread from scratch can be the most rewarding of experiences, especially if you’re using your own starter. It means you’re in control of the every single aspect of the bread making process, as it’s been you who’ve raised the starter from its origins of just flour and water, into something which is a living and growing thing. Your starter will become an extra responsibility in your life, so it’s best to accept that at the offset if you want to get into it. Like a puppy or goldfish – it needs to be fed and watered at regular intervals. The kind of starter that you should keep depends on the kind of bread you will be making. The best rule to go by is to use the same flour in the starter as you would in the loaf. So if you’re going to be making a lot of rye-based breads, then a rye starter is what you should be keeping. When making white-based loaves, then it’s recommended that you use a starter that’s made with white flour. I’ve included instructions on how to begin and maintain both below. There’s not a lot you’ll need when starting and maintaining a starter. Some recipes state that you need raisons, rhubarb, or even sugar to help your starter get going. Please don’t add these. What is essential is using great flour. Don’t go to the supermarket and pick up the nearest flour that may have the letters ‘rye’ or ‘white’ on the package. That just won’t do. You won’t get the flavours and yeasts that come with a great flour. What you need is an organic unbleached flour, as this still has the nutrients and microorganisms required to get the starter going. 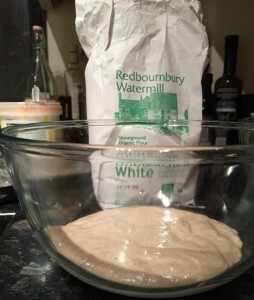 The flours I use in the following are Redbournbury Organic Unbleached white flour and The Priors Organic Rye flour. Both available from Bakery Bits. I’ve included below a tried and multiply tested recipe for a rye and white (liquid levain) starters. Mix the flour and water into a paste, and put into an airtight container. Keep it in something like an airing cupboard where the temperature is consistent for 24 hours. You should be getting a nutty smell from the initial sourdough mix, which should have also increased in size slightly. Mix all the ingredients into a small paste, place into an airtight container and leave in a warm area. You should do two feedings on these days at 12 hour intervals.As the days progress, you should be getting increasingly maturing yeasty and alcohol smells and tastes from the sourdough. This is the yeasts and bacteria settling into their new homes. After about a week it should start to smell ‘right’ and you can start to use it in your loaves. Mix together in a paste, and keep in an airtight container. 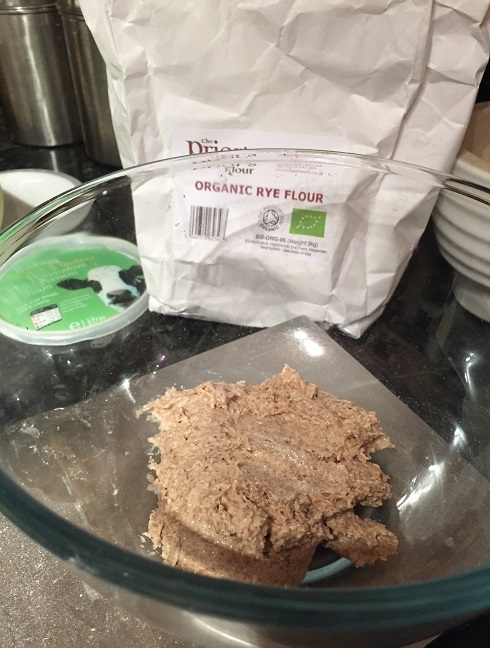 As with the rye sourdough starter, mix the flour and water into a paste, put into an airtight container, and place in a temperature-consistent place. Mix ingredients, and put into an airtight container. This should be right to use after the fifth day, although don’t expect it to produce a decent loaf for the first few times you use it.